The Libro Privato book is designed to easily fit inside your handbag, allowing you to discretely show your friends when out and about. 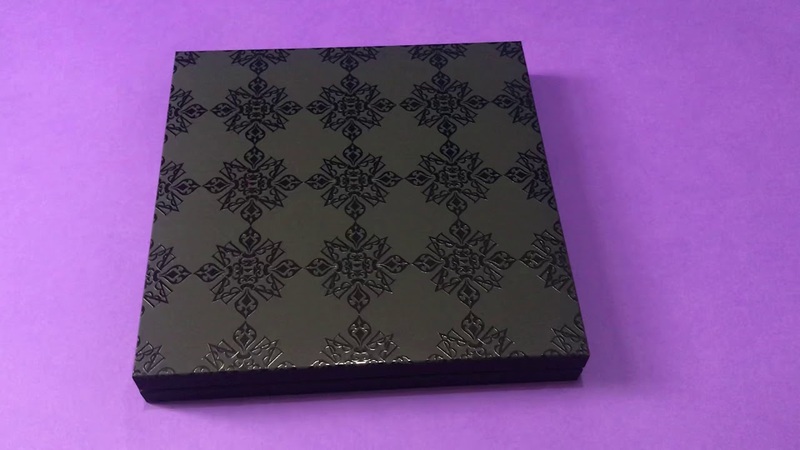 The box is made from a hard card composite and is finished in a Soft Touch black with varnished detailing on the outside and a vibrant red on the inside. The book is covered in Soft Touch black with Gold Foil detailing and a red ribbon. The Libro Di Lusso book is an aromatic masterpiece, made from real leather inside and out. The box is made of hardwood and is finished with varnished detailing, the interior of the box has a red leather insert and the book has gold foil detailing, a red ribbon and red blocking to the page edges. Although strictly an album; we have included this within the print section as it is a hand-made, hand-bound on cotton paper; wrapped in a luxury leather wrap adding to the vintage feel and made completely of organic materials to glorify boudoir photography. Paper: Pure cotton Amalfi paper with deckle edges. Cover: Genuine Italian cowhide leather “Etrusco” with inside cover in Suede. Similar to the vintage sketchbooks of the 19th century French artists, the SB Reveal elevates the concept featuring a soft-pouch that accommodates the mounted prints. Elegant, minimalist and warm, this artisan creation is hand-sewn with extreme care to detail. The cover and wrap feature laser etched details. includes 20x 11×14″ black/bold v-cut mounts with 8×12″ archival lustre prints. Portfolio: Sequoia Moka Distressed cover, Sand Suede interior. Box: Wood Fibre Brown with Suede wrap. A twist on a modern classic, the back mounted acrylic print adds to the depth and gloss of the image; emphasised by a shadow gap and surrounded by a deep black wooden frame it gives the illusion that the print is suspended within the frame. Similar in design to the Cornice Moderna but with a more classical look; using traditional archival certified quality canvas. A wide and deep black wooden frame with a shadow gap help emphasise the artwork within. A selection of 3x 18″ x 18″ acrylics mounted on a wall is a great way to show close up detail shots of your shoot without revealing your full identity. A selection of 3x 18″ x 18″ canvases mounted on a wall is a great way to show close up detail shots of your shoot without revealing your full identity. *ask about this package deal on your Viewing and Sales meeting.